Science taps into a kid's natural curiosity—help your child explore fascinating facts and compelling passages with a workbook that generates interest and teaches key concepts. 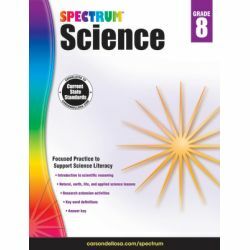 Spectrum® Science for grade 8 introduces, reviews, and reinforces the skills your child needs to thrive in this subject. Cultivate a love for science by providing standards-based practice that captures children's attention. 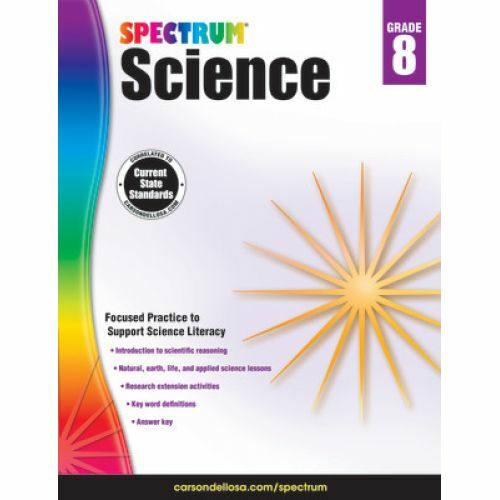 Spectrum Science for grade 8 provides interesting informational text and fascinating facts about the nature of light, the detection of distant planets, and internal combustion engines.